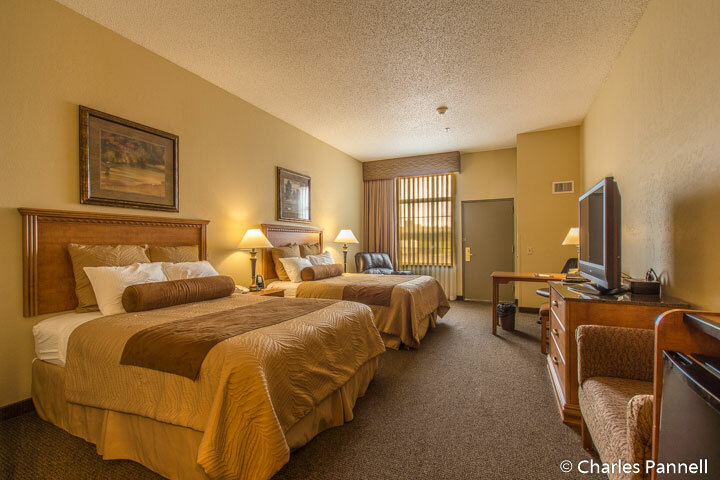 If you’re looking for a very comfortable and accessible Sioux Falls lodging option, then look no further than the Country Inn & Suites Hotel (www.countryinns.com). Located just a short drive from Falls Park, the property features accessible rooms with roll-in showers or tub/shower combinations. Room 118 is one of the most accessible rooms. It features level access from an interior corridor, as well as from the parking lot. Accessible parking is conveniently located right outside the door. Access features of the room include wide doorways, good pathway access and a lowered closet rod. The room is furnished with two 27-inch high queen-sized beds, and it also includes a refrigerator and a microwave. 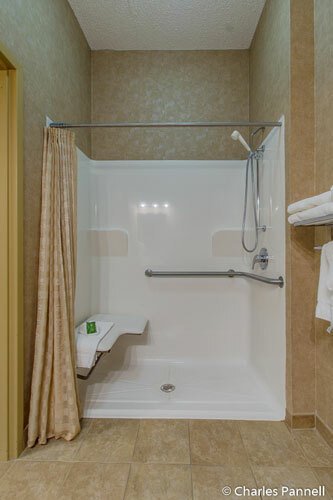 The spacious bathroom has a full five-foot turning radius and is equipped with a roll-in shower with a padded fold-down shower bench, grab bars and a hand-held showerhead. 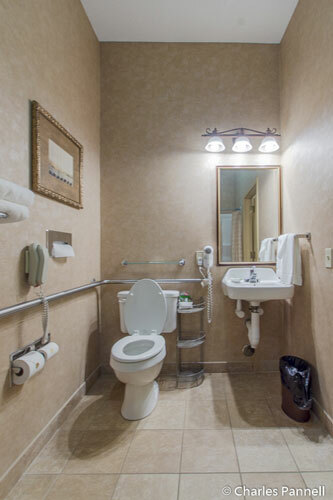 The toilet grab bars are located on the back and right walls (as seated), and the bathroom also includes a lowered sink. Although the room certainly includes the access basics, it also boasts some often overlooked access features like a lowered mirror, hair dryer and robe hook. There’s good access to the all the public areas of the hotel including the front lobby, the lift-equipped pool and spa, and the breakfast area. A breakfast buffet is included in the reasonable room rate, and the friendly staff is quite accommodating. 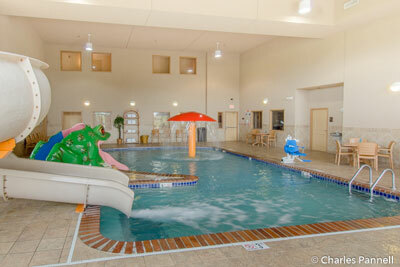 Bottom line — the Country Inn & Suites Hotel is great choice for any Sioux Falls Visit.